Sydney Harbour is a vibrant, iconic waterway. A drowned river valley, comprising an amalgam of contrasting natural and urban landscapes abound with cultural, geological and biological diversity and heritage. 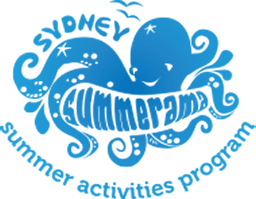 It is Sydney’s and one of Australia’s tourism drawcards (described as ‘spellbinding’ by the Australian National Landscapes program). The health of the Harbour is crucial to all, including the ~1.2 million Australians living within its urban fringe. The pressures upon coastal zones are ever increasing. Governance arrangements are complex and involve numerous agencies and stakeholders. Management remains fragmented and, often, ad hoc. 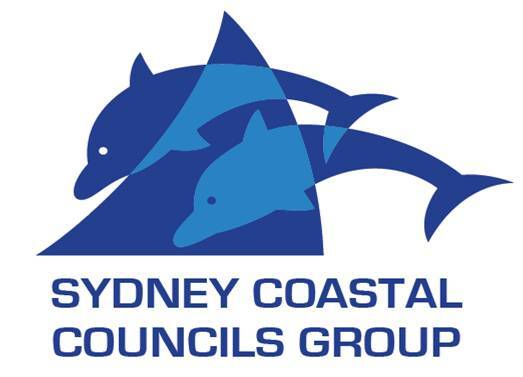 The SCCG, in partnership with the City of Sydney and Greater Sydney Local Land Services (GSLLS) (formerly Hawkesbury-Nepean Catchment Management Authority) sought to address this and were awarded a grant under the Office of Environment and Heritage’s Estuary Management Program to undertake a Scoping Study for the preparation of a Coastal Zone Management Plan (CZMP) for Sydney Harbour. 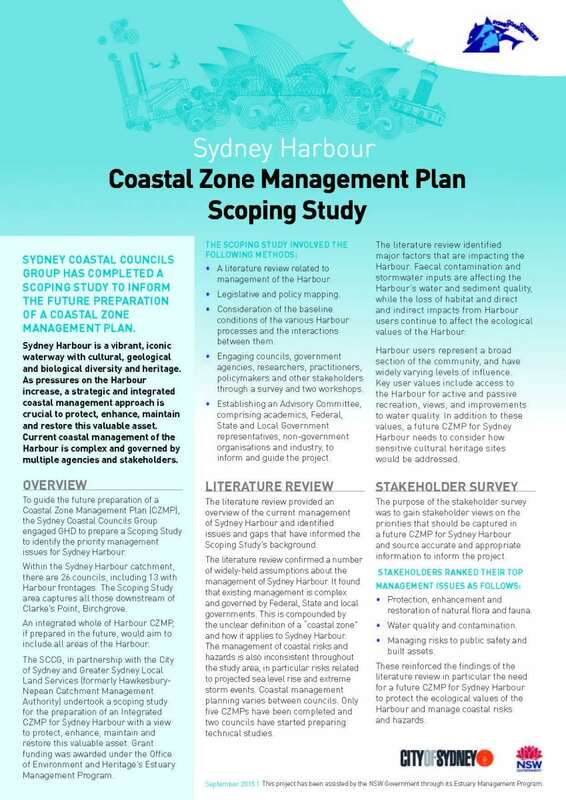 The project aim was to scope the priority management issues to underpin a strategic and integrated management plan for Sydney Harbour to protect, enhance, maintain and restore this valuable asset. 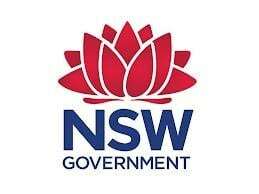 There are 26 councils in the Sydney Harbour catchment, 13 with Harbour frontages. The Scoping Study captured all those outside of the Parramatta River and Lane Cove River CZMPs, that is, downstream of Clarke’s Point Birchgrove. Establishing an Advisory Committee, comprising academics, Federal, State and Local Government representatives, non-government and industry, to inform and guide the project. A Project Advisory Committee was formed in late 2013 to guide the project, review and value-add project outputs, build relationships and networks, and share data, expertise and experience. The Committee was established with representatives from 31 stakeholder organisations. 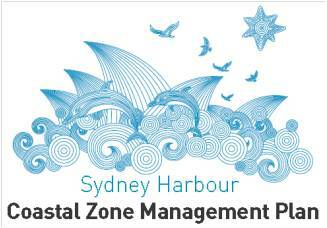 The project provides a basis for future development of a CZMP for Sydney Harbour. 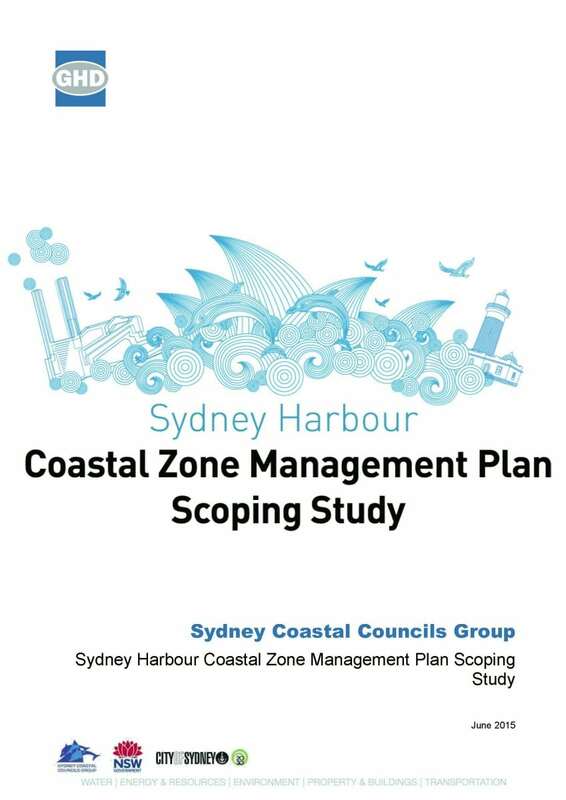 The Scoping Study summarises the key coastal management issues and provides guidance on potential management actions to be addressed in an integrated CZMP for Sydney Harbour. The issues and recommendations for actions were identified through a number of sources, including stakeholder engagement, a data and literature review conducted for the study area, and exemplary scientific studies. 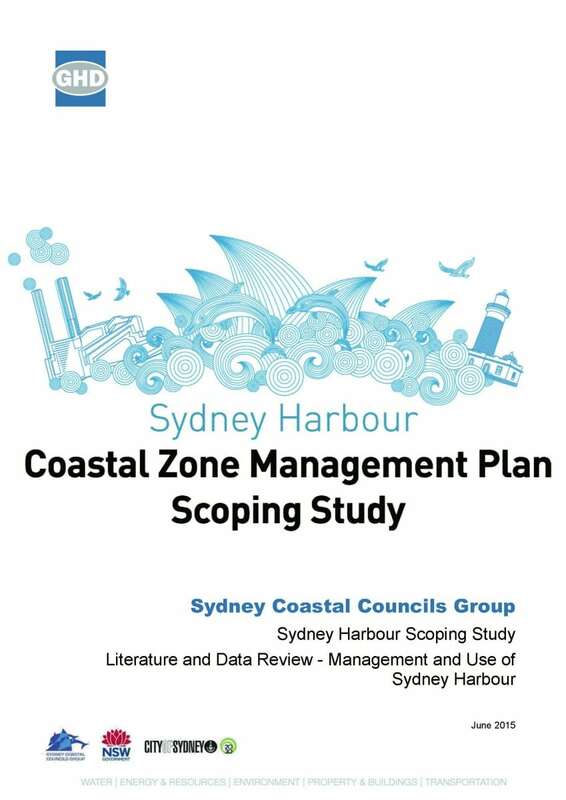 Within the Scoping Study itself, each theme is presented in terms of an overview, followed by details on each management issue including: context; gaps; values; risks; temporal and spatial variability; primary stakeholders; the outcome if the issue is addressed and recommendations for actions and associated stakeholders.